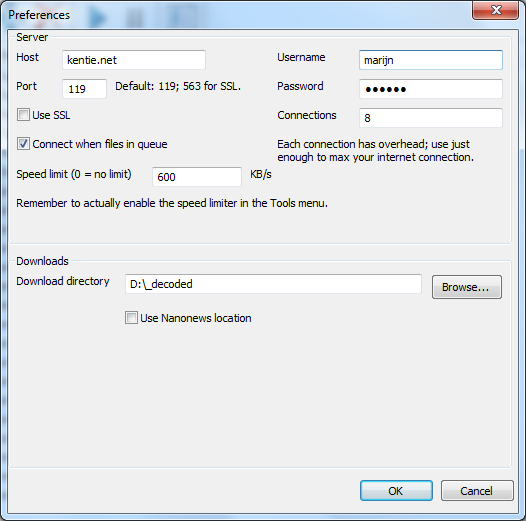 Nanonews - A free, simple and lightweight binary usenet client / NZB downloader. Nanonews requires Windows Vista or later, XP will NOT work. Make sure you've got the Visual C++ 2010 runtimes (if the application gives an error about 'MSVCR100.DLL' missing): for 32 bit version of Nanonews, for 64 bit version of Nanonews. Download latest version: Nanonews release 4. Includes 32 and 64-bit versions and portable variants of both. None whatsoever, unzip your executable of choice (see text file in zip) wherever you want. Nanonews is free to use, but you are prohibited from modifying and/or selling it. Please support PC game developers instead of pirating their games. 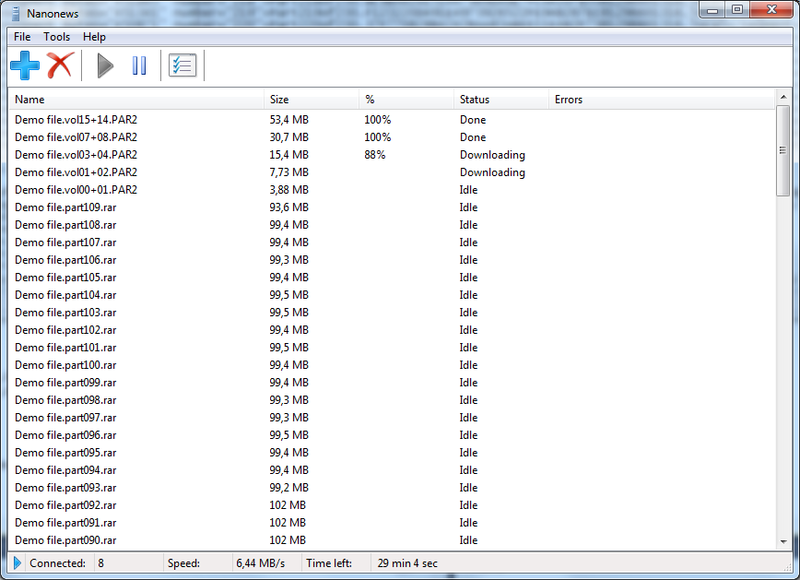 Back in 2005 or so, being displeased with the existing selection of NZB downloaders, I started work on my own. Existing programs either cost money, were badly programmed, were 'bloated' (I realize this is an overused term when it comes to software) or a combination of these. Although I whipped up a complete program, learning much about Win32 and sockets in the process, I never released it for public consumption. I did use it myself all those years, though. Reasonably soon I decided that I could do better, and after procrastinating until late 2010, I started on a more polished client built on multiple threads and IO completion ports. The result is what you see here. Nanonews is completely free, extremely light on resources and doesn't require much work to get going with. I should note, though, that if you're a heavy duty user looking for a server-style all-in-one solution that allows you to automatically syndicate feeds, download and unpack the results, etc., I'd advice you to take a look at SABnzbd instead. Nanonews is the diametric opposite, and well suited for the occasional user that just wants any download application to stay out of his way, not present until its services are required. Only yEnc encoded files are supported. Not much of a limitation in practice, in my experience. The file queue cannot be rearranged; it is possible to delete queue items though. Here's a screenshot of the configuration dialog, to give a better overview of the supported options. Finally, why is Windows XP not supported? It doesn't support various useful things that would require workarounds or less optimal alternatives. These include dual mode sockets, certain interlocked functions (InterlockedExchangeAdd64), Slim Reader/Writer Locks.